June Is just a few days away reminding us that we are six months into 2018. Often, this realization can make me panic feeling like I haven’t accomplished everything that I set out to do. This can send me spiraling down the dark black hole where I question my whole existence. This year I decided to notice what is right first. I hope what you read below will help you to realize the same. Take time to notice what’s right in ourselves, in others and the world around us. We may become so concerned with correcting ourselves, we become habituated to seeing what’s wrong. Not only just seeing it but constantly looking for it. The question itself “what’s wrong?” is enough to keep us on edge. There are times to take stock and do an inventory. There are times to learn and grow. But spirituality and joy do not stem from trudging around in the muck of what’s wrong with others, ourselves and our life. We do not have to seek our mistakes and errors, poking and picking at ourselves, to continue to grow. Our lessons will be revealed to us, and they will present themselves naturally. Growth will occur. Give yourself a break. 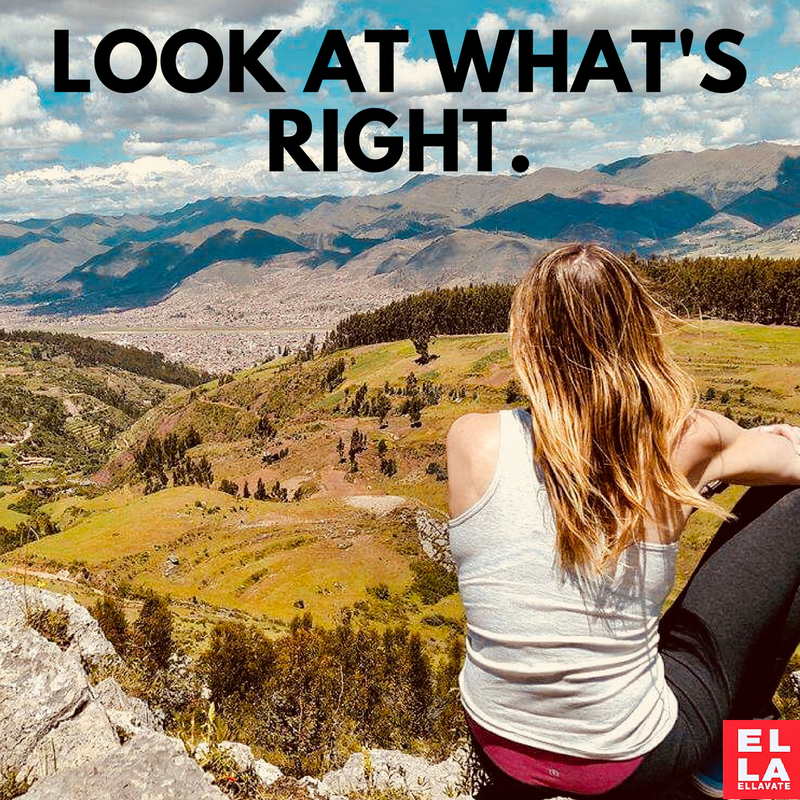 Ask yourself: What’s right? What’s good What’s true? What’s beautiful? Sometimes the lesson is discovering that the world is all right and so are you.